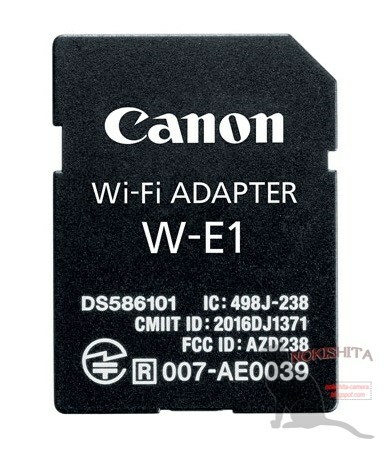 A few days ago, I reported Canon will be announcing the W-E1 SD card adapter for their EOS cameras. This is essentially a cheaper device to do almost the same functions as the WFT-E7A wireless file transmitter. The Canon EOS-7D Mark II may be the first camera to get a firmware upgrade to go with this new adapter, follow by other EOS cameras in the lineup, depending on the model. The list price may be about $40. My readers know I have picked the EOS-7D as the best value APS-C camera for sports and wildlife photography four years in a row. Now the Mark II model has taken over that role for me. Ever since the introduction of the Nikon D500 APS-C camera in January, it gave the EOS-7D Mark II a very good competition for many photographers and I am impressed by some of the D500's new features. The Nikon camera was announced about 15 months after the Canon. As stated earlier, I expect Canon to come out with a major firmware update, maybe late this year, to keep the EOS-7D Mark II competitive, until the Mark III model comes out, perhaps in late 2017.